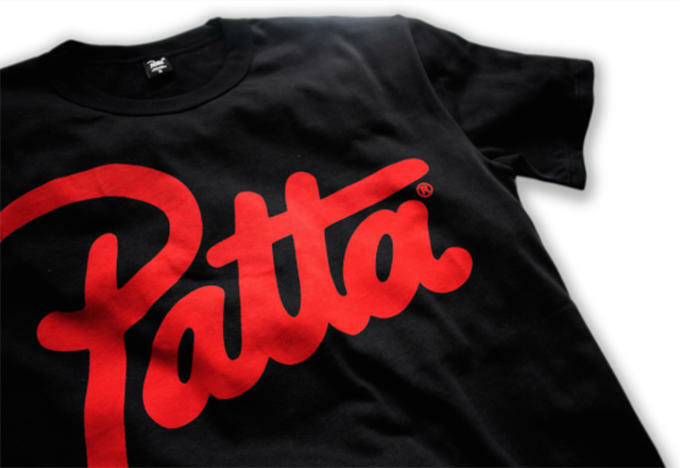 In the run up to his &apos;Thirteen Weeks&apos; residency at XOYO in Old Street, London, Oneman will be launching a range of collaboration T-Shirts with Dutch sneaker boutique Patta. 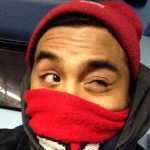 The Streatham-born Rinse FM DJ has earned a reputation for his uncanny ability to blend genres that make you want to move your feet to the beat. During his eight years with Rinse he’s been an integral fixture which recently culminated in his four-hundredth show. His collaboration T-Shirt with Patta has been designed exclusively for the acts joining him during his XOYO residency, this including the likes of: Ben UFO, Wiley, Todd Edwards, Zed Bias, Mount Kimbie, Gilles Peterson, Newham Generals and Benji B. 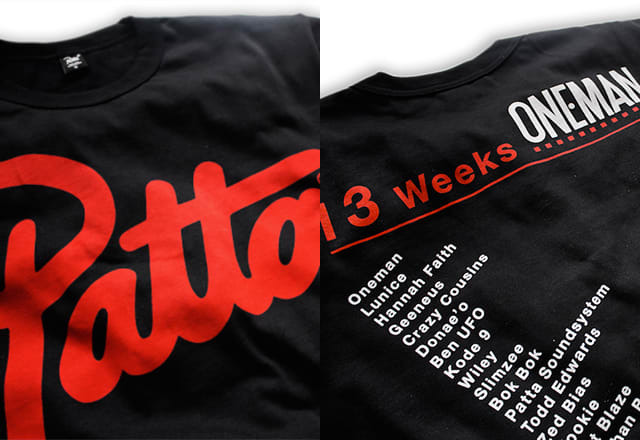 Details on the T-Shirt features Patta&apos;s definitive graphic logo on the front in red, while the back features a timeline of the aforementioned names that’ll be joining Oneman’s residency. "We at Patta like to do things at the highest level... Music is one of our great passions... With this in the back of our minds, working together with Oneman to create something for 13 weeks was a no brainer." The T-Shirt won’t be sold in any stores, instead to get one you need to be at XOYO during his residency as they&apos;re only available as a special giveaway. 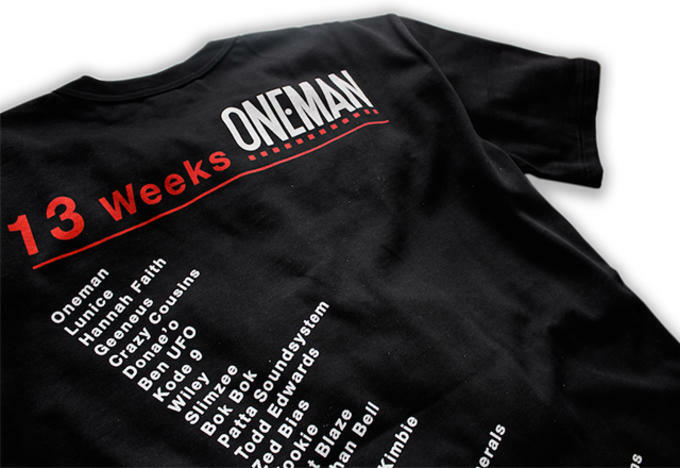 Oneman&apos;s Thirteen Weeks residency at XOYO will be taking place from July 1 to September 23. For a look at the dates and who&apos;s playing click here.